Listening Session 007: Focusing on Jerry Garcia's solo work outside of the Grateful Dead across the years, along with the occasional story and insight adding color along the way. As far as the Grateful Dead go, 1968 contains a collection of music that is in many ways unparalleled across the vast 30 year span of their career. Like no other year, 1968 never spares a single minute toying around with the idea of taking you on a psychedelic music journey. It doesn’t gently take your hand and lead you down a path which exposes you to some magic land. No, 1968 is more like being run over by a freight train fueled on electric Kool-Aid steam . Drop the needle down at any instance of 1968 Grateful Dead and you’re catapulted directly into the heart of a musical expression so lysergic, so steeped in cosmic adventurism, it defies any true comparison to what we might generally bring to mind as the “psychedelic scene” of the late 60’s. The Dead in ’68 go beyond. At this time the band was fully possessed by it musical muse. This muse stood so close to the veil which normally shrouds its presence in mystery that we have no problem recognizing this higher power working the band like fingers on a hand. The muse found a foothold in this musical ensemble which not two years earlier epitomized the “San Francisco Sound.” Here, that band has broken free of any pigeonholing or time stamping. They are a hurricane force spiraling windstorm of transformative and bone melting music. You are not safe in their presence. You can not emerge innocent with flowers in your hair from this music. I would have hated to have been in a band sharing the bill with the Grateful Dead in 1968, especially if they took the stage before me. What they were doing went beyond music somehow. And they needed no warming up or cooling down. From bell to bell, you got life-altering soul-fire which bleached your flesh and bones into the color of stars. Sadly, we are missing far more of the Dead’s output from 1968 than we are lucky to have on tape. Vast portions of the year are nowhere to be found. We have spotted shows, partial runs, fragments of music – and that’s from within the patches where we actually have music at all. Between March and August of 1968, for example, we have documents from only four concerts total, while the band was playing nearly night in and night out, early and late shows, free concerts and headlining. It makes what we do have all that much more precious and at the same time painful due to the thought of what has been lost to time, lingering on the air, and left boiling in the blood of the audiences that were there to experience it. One of these precious treasures from the vast wasteland of lost music came at the hands of The Jefferson Airplane’s Jorma Kaukonen, who recorded his own audience tape of the Dead’s performance on May 18th, 1968. He recorded from the lip of the stage, and while he clearly was on the move occasionally (the mic obviously gets repositioned two or three times during the set to different parts of the stage it seems), the recording is breathtaking all the same. There aren’t a lot of up front vocals, but in 1968 this doesn’t matter in the slightest. The raw inferno of the Grateful Dead’s power explodes like a super nova off of this tape. The mic’s journeying around the stage seems only to intensify much of the psychedelic power. 95% of the time, the recording will bring you to your knees – outdoors at an all day concert with the full force of the Grateful Dead rocketing you to worlds beyond the physical universe. There's a woman asked to say a few words to the folks at home in the opening seconds of this recording. She sums everything up just perfectly. Sharing the bill with The Doors, Eric Burdon & The Animal, Big Brother & The Holding Co., The Youngbloods, Electric Flag, Jefferson Airplane, Kaleidoscope, Country Joe & The Fish, and Taj Maha, the Dead used their early slot at the Northern California Folk-Rock Festival to deliver side two of the Anthem Of The Sun album – a record not due to hit the shelves until July of that year. The music explodes, filling the entire Santa Clara County Fairgrounds like a shower of lava. The Dead become a black hole sucking all matter and being into their core. The music is fierce with fists like mountains crushing everything for miles. To hear this sliver of May 1968 (April is completely absent from tape collections, and May and June only barely qualify as being any better) is to be given a window into the Dead’s evolution through these primal years. As if the January and February tapes display a band any less powerful, this snapshot of May displays something more colossal. This is similar to the way November and December 1972 stand somewhat more brutally powerful than the months just before. The band and its ferocious musical energy is completely unleashed here in May ‘68. There’s little hope in mapping out this musical journey. Though, I will say that the transition into Caution manages to somehow push things over an edge. Just after you’ve spent about twelve minutes under a gale force of Alligator jamming, Caution takes things up another notch, swirling in that Bluegrass element which, even here in the deepest reaches of psychedelic mayhem, is able to jettison the musical experience further out into swirling space-time. The first pass into Feedback, somewhere just after Pigpen’s first round of “Just a touch,” comes one like a welcome breather which seems poised to allow our heart to stop racing for a few moments. Of course, this undulating wash of cymbals and turning volume knobs pins us down all the more, only giving us the smallest hints of the insanity to come some eleven-and-a-half minutes later. The final Feedback is inescapable. Flesh, nerves, hair, bones, and fingernails are shredded so completely as to remove the individual human experience entirely from the event. Where has the fairground gone? Where has anything I held onto as reality gone? Breathing and heart beating are unknown here. The rippling sound beams find names in the valley of my sundrenched treetops and my gurgling brooks. When it’s over, things have surely been driven so deeply into your body as to never have hope of ending completely. There was a wonderfully harmless war started in the online Grateful Dead community throughout the late 1990s and early 2000s. It came down to people having to choose allegiance to the year 1976 or 1977. ‘77 fans found it abundantly easy to laugh at and ridicule the Dead’s output from 1976 as tired, slow, limp, and utterly outshone by the following year, while ‘76 fans (or perhaps more accurately phrased, people who didn’t find 1977 to be the year above all other years) stood fast on the merits of 1976’s often overlooked psychedelic wonderland of creativity and inspiration which could make 1977 seem somewhat too organized and contrived. Just in writing that last sentence I can feel the ire of both camps rising to defend the motherland. And if I haven’t already made it abundantly clear in my writings, I was a banner waving member of the 1976 crowd. And while I spent my heavy trading years obsessively collecting everything I could ever find from the Dead’s entire output of the 70’s, 1977 was never part of that blind obsession. While I can call to mind the merits of nearly every stop on the calendar in 1973, 74, 75, 76, and 78, such is not the case with 1977. Oh, I know my way around that year. I know that I gravitate to the feel of the spring and summer shows more than those from the fall and winter. But I don’t bleed the details of 1977 like I do the other years. Flash forward to today, and I can freely admit that 1977 is like a new flower opening up before me. It represents new discoveries for me tucked within an era to which I’m already intimately in tune; and what a glorious hidden jewel to be able to discover after all this time. I went in to revisit this 02/26/77 Swing Auditorium show remembering that it was good, and little else. What followed was a heart opening ride into a sensational Grateful Dead show which towers with perfected Grateful Dead energy and groove throughout. Beyond the clear set list highlights, the show is filled with songs I’d normally pass over, yet everything from this show shines and delivers a full cup of the Dead’s most potent elixir. The opening Terrapin (its debut) ushers in the fact that 1977 was going to bring with it an entirely new level of Grateful Dead musical exploration. It’s a mind-blowing thought to consider what it must have been like to attend this show and have this be the opening event. An instant classic to be sure, the Dead waste no effort on trying to figure this tune out from the stage. It fires at near full strength immediately, and by the end we’ve been thrust into the wild pulsing heart of the band right in the show’s opening number. The band rides this wave into a sublime first set of song delivery. 1977 is getting off to a magical start. Minglewood, They Love Each Other, Sugaree, the Estimated Prophet debut – really everything in the first set is terrific. It just feels utterly wonderful. The set closes with a Playin’ > Wheel > Playin’ that funnels the entire set’s wildly energetic magic into a concentrated psychedelic ride. Playin’ In The Band creates a slow churning boil like a lava lamp under high heat. The ground shifts and buckles and bows in all directions until there comes an eruption into a galaxy imploding wormhole which transports the entire auditorium out of the physical plane. Out beyond the stars images flicker and glow. 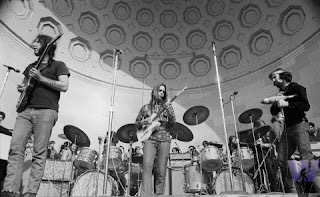 Sound passes in ceaseless ripples of energy riding the drummers’ beat, while great mountains and rivers of energy swell and recede on Garcia’s phase shifting distortion and Phil’s slow popping bubbles of starlight. Jerry decides to move into The Wheel, and it happens without the drummers first locking onto the standard Wheel rhythm pattern. The transition is fabulous (great transitions being something of a hallmark for 1977), and The Wheel come on riding all the psychedelic energy of the Playin’ before it. A lovely and twisted exit jam follows and the outer space landscape of the Playin’ jam slowly fades back into view spreading our depth perception out beyond planets and stars which gently bob and turn around us. 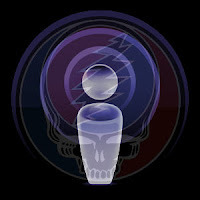 Set two rockets out of the gate with a fine Samson And Delilah and a Tennessee Jed containing a Garcia solo that leaves you wide-eyed and smiling from ear to ear. The Music Never Stopped follows and it spirals ever-upward to a high-stepping crescendo. We then reach Help > Slip > Franklin’s, and the Slipknot opens us back up to the misty magic we enjoyed in Playin’ In The Band. The music is a swirling blanket of distant clouds, corkscrewed hallways and shimmering fractal glass. At times overpowering enough to sweep your breath away yet mysterious enough to leave you unaware of your need for breath at all, the jam rolls in on itself as it reflects the glowing patters in every cell of your body. The tides rise and fall in random patters eventually bringing us back to the jam’s theme and on into Franklin’s Tower. Franklin’s kicks off with its infectious uplifting energy. 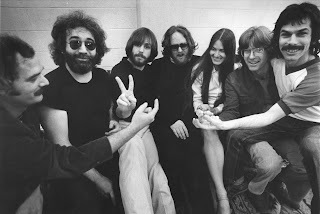 We are immediately locked into a dance around the most precious hearth of Grateful Dead music – the place where everything is simply infused with joy and pleasure. The solos stretch out and return to verse as our attention to time dissipates. To a degree this Franklin’s Tower is made more enjoyable by the absence of any triumphant explosion or peak. It rides a buoyant stream ever onward with the occasional parting of mountain tops revealing a blazing sun above pulsing and dancing along with our hearts and feet. After a curiously placed mid-set two Promised Land, we reenter this joyous bond with the band in Eyes Of The World. Again we are treated to a flowing output of music that doesn’t attempt to dazzle us with acrobatic feats, yet locks in just the same keeping the gaze of our heart transfixed on the music’s soul-reaching expression. We are treated to a nice Phil solo that sounds grafted right out of 1973, and then we roll right into Dancin’ In The Streets. Dancin’ turns up the disco funk dial to ten and Jerry springboards his solos into the sky. He’s fully cranking on his auto-filter wha-wha pedal and the music cooks along. From here the show powers through its finale with Around & Around and the US Blues encore. 1977 exudes a certain glorious level of Grateful Dead energy and psychedelic adventurism. It’s nearly impossible to go wrong anywhere you step. And it started out of the gate on the right foot with the very first show of the year. This is a fabulous quality soundboard recording with titanic Phil throughout.